The London Dungeon is a fully-themed fun venue, a unique combination of real history, horror and humour, told through a 20 minute show which culminates in London’s only drop ride. The infamous London Dungeon is a perfect venue for both parties and dinners and that is exactly what the Twilight Supper aimed to platform. 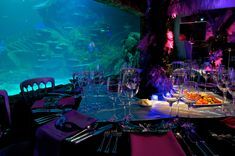 The Twilight Supper was an interactive evening showcasing an intimate dinner at the London Dungeon, the first promotional evening of this kind hosted by Merlin Events. 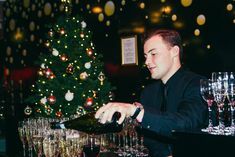 The evening enabled our event team to actively show clients the experience their guests will encounter. Top London caterer, Dish, presented the perfect baroque banquet for the guests. Guests enjoyed poison apple cocktails and mouth-watering canapés including lamb cannon lollipops with a beetroot syrup, smoked chicken and pink lady apple salad served on a spoon with garlic chive salsa, smoked haddock rarebit with apple and tomato puree and apple, mango and chilli sushi roll with coconut rice on arrival. Following the Scare Tour guests tucked into a sumptuous 2-course dinner. Guests sunk their teeth into beef wellington or vegetable strudel with roasted potatoes followed by a floating island mist covered apple consommé with ginger infused meringue was dramatically unveiled for dessert.Guests enjoyed mini toffee apples and apple sherbet fountains (apple dust, liquorice stick served in a shot glass) at the Exspresso bar which also served infusion teas. The inspired our supper. In true Merlin Events style, guests were served their reception cocktails by bare chested werewolf waiters. 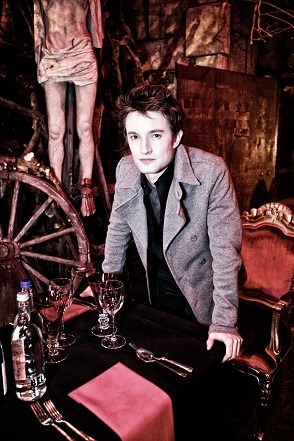 Guests were also joined for dinner by our VIP guest, a blood suckingly handsome Edward Cullen lookalike. Merlin Events continues to promote interactive campaigns and to give our guests the opportunity to shape the events they attend. We asked our partygoers to vote for who they would like to dine with at the dinner: vampire Edward or the werewolf Jacob from the Twilight Saga film series. Edward won the votes and dressed in smart casual, a look the partygoers also selected. To enhance the theme of the evening the first course of beef wellington was carved by chefs in black robes at the table and the Heston Blumenthal enthused dessert was unveiled with dry ice. Our Merlin Events photographer papped guests on arrival and photographer Rick Bronks captured the evening, these photos are available to like, tag, share and download for free via our Merlin Events London Facebook page.A YouTube video of the evening enables us to share the best moments of the evening with all existing and future clients. Twitter is a powerful tool to engage with clients pre and post event. A number of guests Tweeted their excitement pre event and left great feedback following the Supper.